Last October, my father, sister, and I went on an amazing dream trip to China. My dad, who is the inspiration for Stephen and the Lake Monster, was born in Shanghai and moved to Canada when he was twelve. He had always wanted to show us the country where he was born and so we booked a tour with China Spree. The emphasis of this particular tour was to showcase Chinese history and culture. The tour guides kept us on our toes; six cities in sixteen days! I jokingly referred to it as our Chinese Culture Bootcamp trip. The restaurant-bookstore in Guilin. 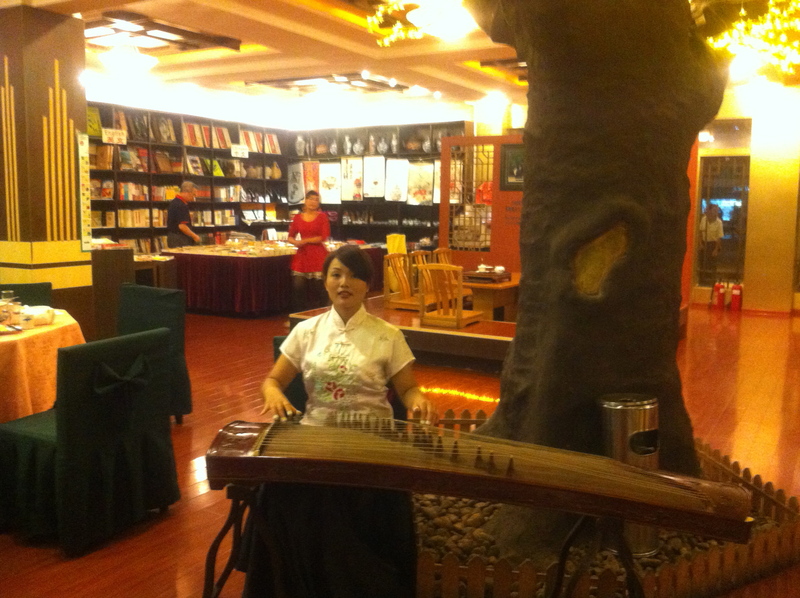 You can read or eat to lovely zither music! Through the flurry of touring, one of the things I kept my eyes out for were Chinese picture books. But because of the tight schedule, I didn’t get the opportunity to seek out any book stores. Fortunately, while in beautiful Guilin, our tour group had dinner in a restaurant that also happened to be a bookstore! While there, I found a couple of wonderful books both published by the Foreign Language Teaching and Research Press. These two books were fairytales with English translations. I have to admit, I chose them for their gorgeous artwork. Lotus Lantern, a Chinese fairytale. Written in English and Chinese. Overall, though, I found that among the children’s selection, there seemed to be an emphasis on dry educational material. 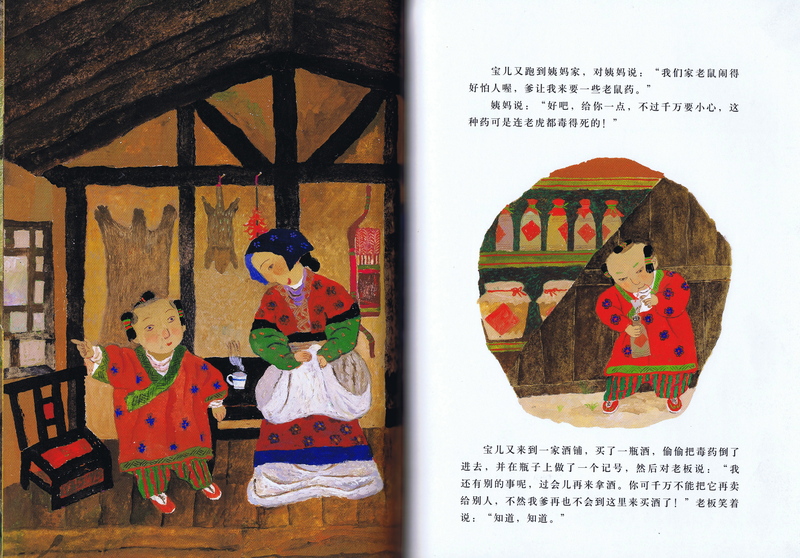 Some were also just translations of western fairytales like Hansel and Gretel with the illustrations depicting European (not Chinese) children. 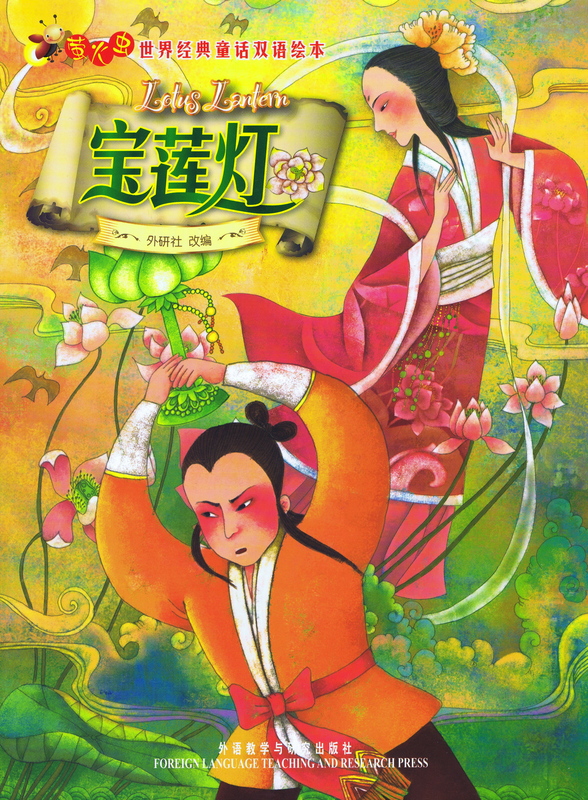 Many of the books were illustrated in an anime style, which is okay, but I know that a vast richness of artistic styles abound in China. It’d be lovely to see that reflected in children’s literature. Two pages from The Boy Who Outfoxed a Fox. From a Beijing Airport bookstore. The second place I managed to find picture books was at the Beijing Airport. The selection there was far better but, again, there seemed to be an emphasis on the educational-type material. However, I found two exceptionally illustrated books. Both were written only in Chinese. It wasn’t until recently that I discovered the English title of the book, A New Year’s Reunion by Yu Li Qiong and illustrated by Zhu Cheng Liang, published by Hsinex International Corporation. A breathtakingly poignant story of a migrant family’s New Year get together. The gouache artwork is nothing short of stunning. I was also thrilled to recognize that the story is set in Tongli a unique water village that we had the pleasure of visiting on our China tour. 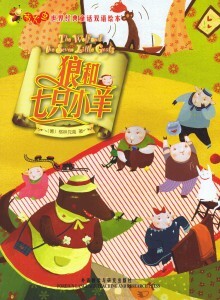 The cover of The Boy Who Outfoxed a Fox by Xin Yi & illustrated by Cai Gao. 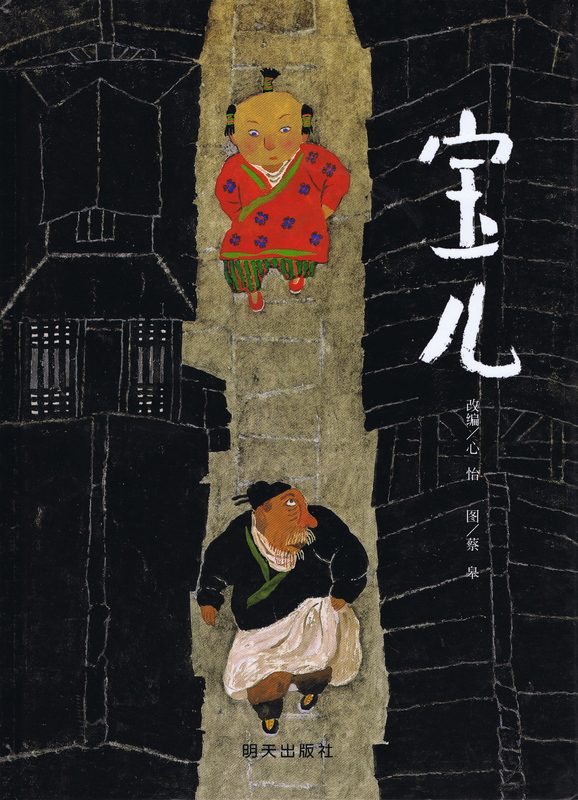 I have yet to find out the storyline for the other book I bought at the airport, The Boy Who Outfoxed a Fox by Xin Yi & illustrated by Cai Gao, also published by Hsinex. At a recent get together with some illustrator friends, we marvelled at the unique and engaging style of Cai Gao’s artwork. 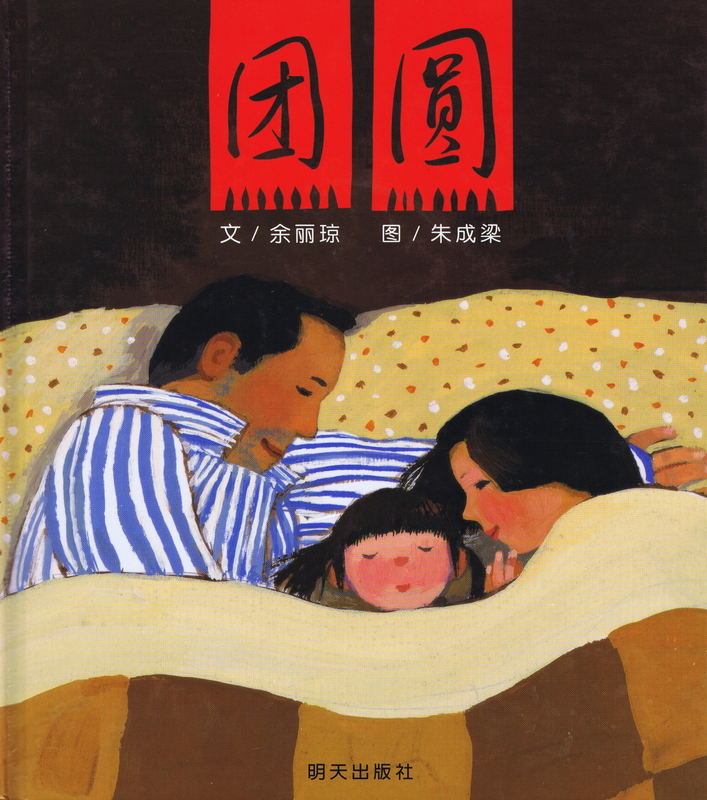 My overall impression of Chinese kids’ books is that the children’s market is only just starting to blossom and now that China is opening up to the world, we can look forward to many more wonderful titles to come. 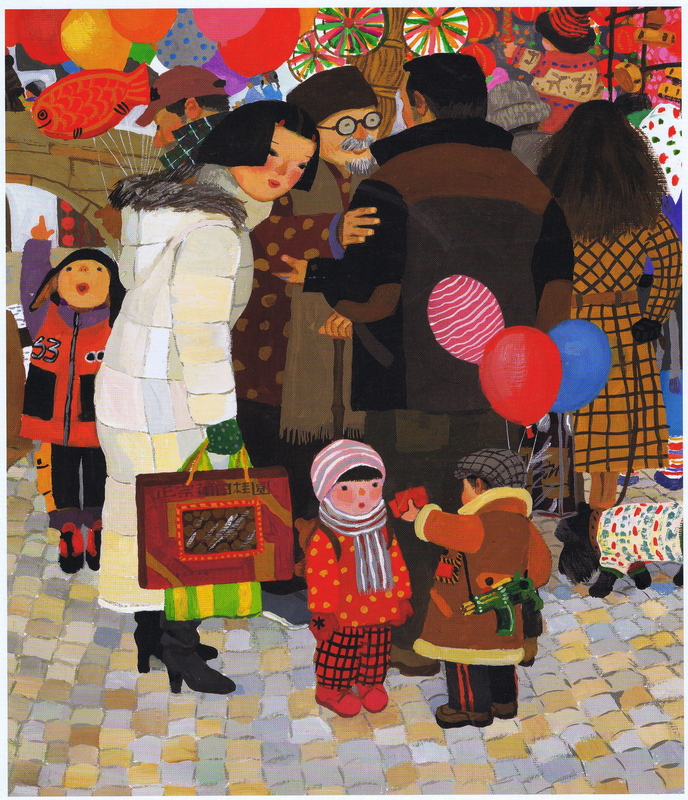 A page from A New Year’s Reunion by Yu Li Qiong and Zhu Cheng Liang. Stunning Illustrations. 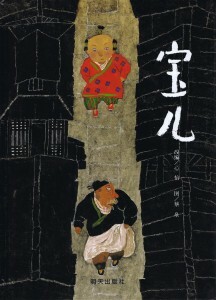 This entry was posted in Uncategorized and tagged A New Year's Reunion, by Xin Yi & illustrated by Cai Gao, by Yu Li Qiong and illustrated by Zhu Cheng Liang, China Spree, Chinese picture books, Foreign Language Teaching and Research Press, Hsinex International Corporation, Lotus Lantern, The Boy Who Outfoxed a Fox, The Wolf and the Seven Little Goats, Tongli. Bookmark the permalink.